Komoder Massage Chairs at Best Prices! Komoder KM300 3D Full Body Massage Chair with heating and Zero Gravity functions, Bluetooth, and USB port. Latest 2019 model. The New Komoder KM300 with lot of functions: 3D massage, bluetooth, folding legrest and	a remote control that won’t be lost. The hand controllers and the massage chairs are integrated, it’s no need to look around for the remote controller. Beautiful and convenient. 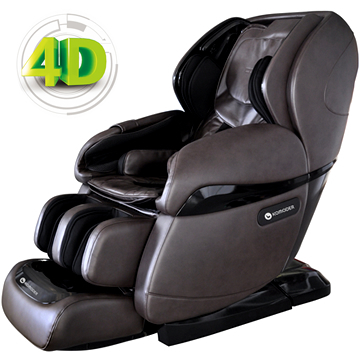 Komoder KM500 Focus 3D Zero Gravity Stretching and Heated Massage Chair. Special designed for family use. The Komoder KM500SL, launched in July 2018, is the newest massage chair; it comes equipped with 4 very silent, mobile 3D massage rollers for a full back massage. The KM500SL uses the new L-type massage system with the longest massage range (135 centimeters). The chair is designed with several highly accurate programs: Stretching, Comfort, Relax, Full Body, Neck & Shoulders, Back & Waist. Komoder KM400 Robotic Zero Gravity Massage Chair with heating, Gua Sha reflexology, stretch program, bluetooth, LED lights and Space saver technology. KM400 is a new generation Komoder Design 2019 massage chair, equipped with 4 intelligent, silent, vertically-mobile massage hands for a full back massage. The KM400L uses the new 135 cm L-shaped massage system and music by buetooth and negative ions. 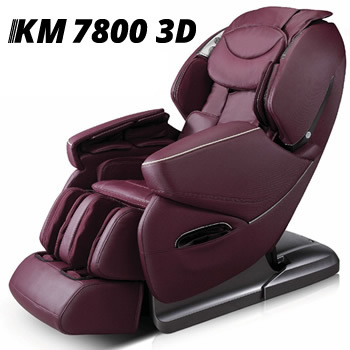 KM7800 is a new generation Komoder Design 2019 massage chair. Komoder KM7800 is equipped with a set of 3D massage hands that can move up and down, Stretching forward and backward, swing and heating function. 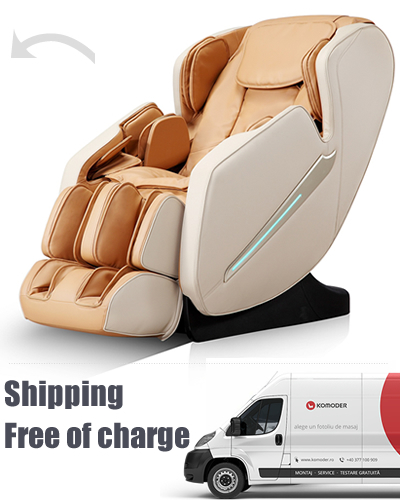 [2019 Model] 4D Massage Chair Capsule Komoder KM9000 Luxury Zero Gravity 2019 Model. 4D Massage chair with 8 heated back rollers, bluetooth, voice control, heating system for back and legs, 12 automatic programs. This is a very new 8 heated back rollers massage chair - the most advanced 4d back massage system. This massage rollers perfectly match the body curve. This is the beginning of the hyperspace massage age of massage chairs. 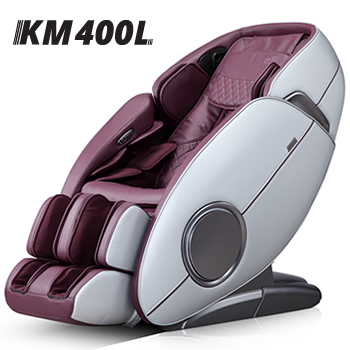 Komoder KM9500SL Zero Gravity Capsule Massage Chair. Calf kneading Massage, feet rollers, bluetooth music. Perfect for your family. In terms of high-quality features Komoder KM9500SL Capsule simply can’t be beat. L-Track 130 cm roller massage, calf and foot rollers, full body air massage, and two-stage zero gravity all work in harmony to create a special massage experience. "It offers a complete massage, for the entire body. The buttocks massage function is very interesting. It is a heavy but complex product and it is worth every penny." Worth every penny. I recommend!! "This is a very good massage chair. I’ve tested massage chairs before, but they were a lot less efficient. It is a large chair and the black version looks really good. I belive I made the right choice. I am pleased." "Very good massage chair. I am pleased and I will recommend it to all my friends." "Complete massage, great roller for the entire body. Recommended!." "Good price compared to other stores. Great massage, good quality, lowest price. We especially enjoy the spine stretch massage." "Excellent massage chair. Very good price + 24-hour delivery. Buy with confidence "
"I am pleased with this model. I tested some other models as well, at the mall, but this one is more than enough from among the models I tested. I am pleased with this purchase."